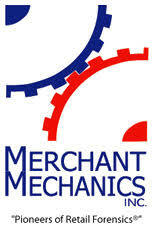 Merchant Mechanics call themselves “Pioneers of Retail Forensics” and they are completely correct. Authentic had the chance to build a custom scientific software platform as a project for Merchant Mechanics, and we were thoroughly impressed by the extent of their projects to further the field of marketing. Authentic created a complex backend development to satisfy the needs of a group of scientists, using a custom Drupal setup. It will be exciting to see where Merchant Mechanics takes the field of Retail Forensics, creating a better experience for customers everywhere. Prior to contact with Authentic we had completed a supplier evaluation of various other service providers and Authentic landed on top in terms of value vs. deliverables. We work within a niche market yet Authentic did extensive research to understand our business and service offerings. Throughout the project phases they consulted and gave advice to best display our vision. Authentic was extremely prompt, professional and a results based organization; they met or exceeded all expectations at every turn. Authentic and their staff took professional responsibility and accountability beyond what was required of them.